Tour de Madame is the first major retrospective dedicated to the painting of Jutta Koether (*1958, Cologne, Germany). Long associated with writing, music and performance, Koether’s painterly oeuvre shown in this densely sweeping presentation highlights her pictorial and conceptual approach to painting over four decades. Koether’s painting constantly confronts the conditions of its own production, as a site of reflection on the act of looking and the perspectives such an act might bring to bear according to who is looking, how and when. The exhibition crucially highlights the historical significance of Koether’s oeuvre as a counter-history to the (male-dominated) canons of modernism and post-modernism, and the understanding of painting in our contemporary world as part of a dynamic set of historical, cultural and social relations. 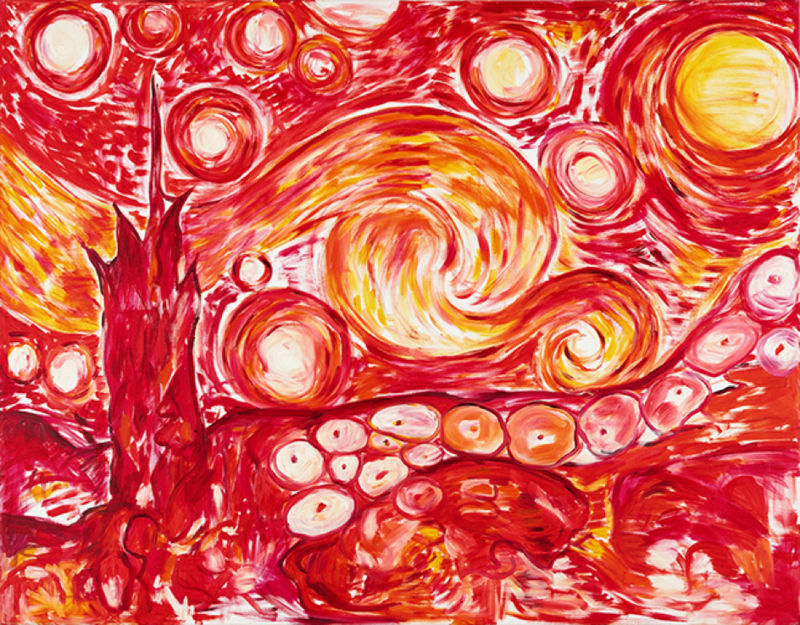 (Visual : Jutta Koether , Starry Night II, 1988. Courtesy de l'artiste et de la Galerie Buchholz, Berlin/Cologne/New York © Jutta Koether). Florence Reckinger will welcome the Amis des Musées for this Midi de l'Art. The Mudam-Café is at your disposal for lunch reservation before or after the visit (Tél. 45 37 85 970). IMPORTANT : For the visits proposed by the Amis des Musées, a mandatory registration is required. You will receive a confirmation before the visit.